Just one look at the color combination and you can tell, that this earnings were made in the middle of summer. It was actually an experiment, because we didn’t know how they are going to end up when put together. Pieces were made in a way that can be arranged in many different combinations. In the end we decided on the final look with green as the main color and yellow peeking from the back. 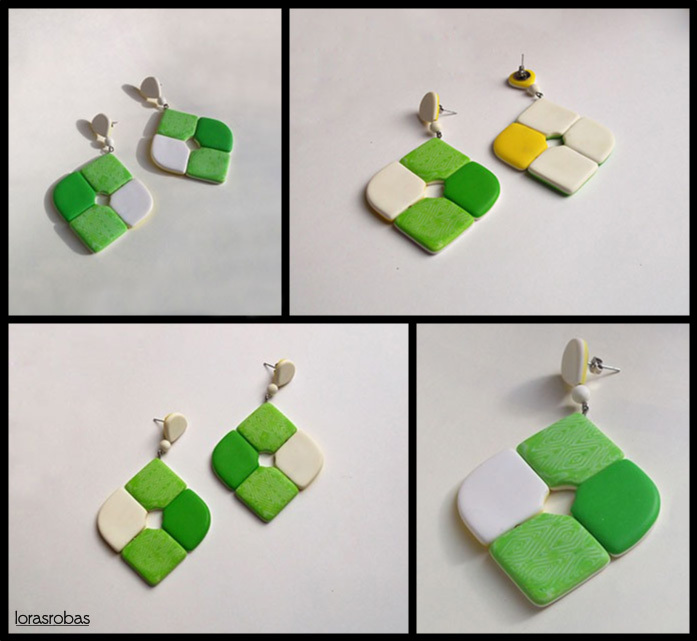 Earrings were assembled with elastic bands and it involved so much work that we decided just to give this pair away. Experiments like this one often end up with some of our friends who enjoys wearing it. Tagged green, polymer clay, stamp.